Last edited by bkoons85gt; 01-30-2012 at 07:30 PM. Very cool pics. Love that vintage stuff. 1986 Mercury Capri ASC McLaren Coupe#20 Black/silver, gone. i'm gonna have to come back & revist some of these links. Such awesome cars. Thanks to all who posted. Last edited by bkoons85gt; 02-25-2012 at 02:14 PM. I have pictures of the Merkur and several other cars pictured here in this thread. They were only taken a few weeks ago. Last edited by bkoons85gt; 04-09-2012 at 08:40 PM. Thanks Bryan! 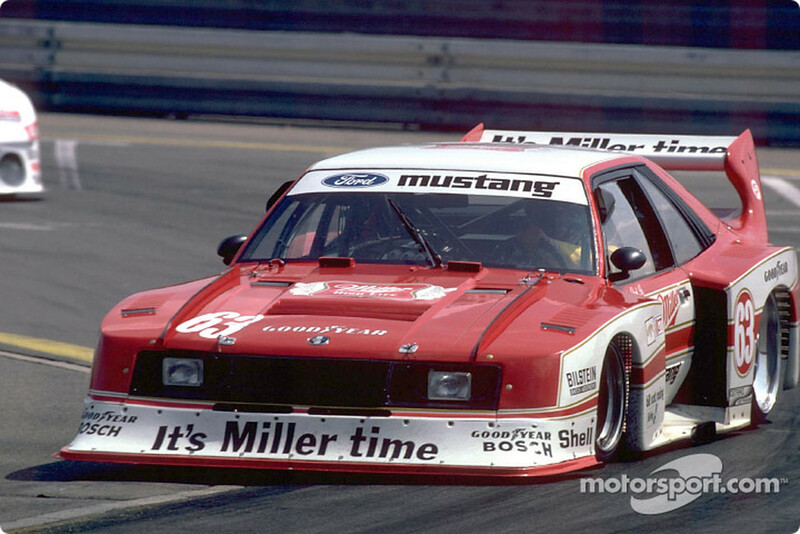 I can never get enough of the mid 80's IMSA & Trans Am Mustangs/Capris! I absolutely love the Mustangs and Capris from the 80's! They looked awesome and sounded awesome on the track! Although the bodies became less and less stock as the years went on, I still think they were some cool looking cars that looked like stock cars on steriods! 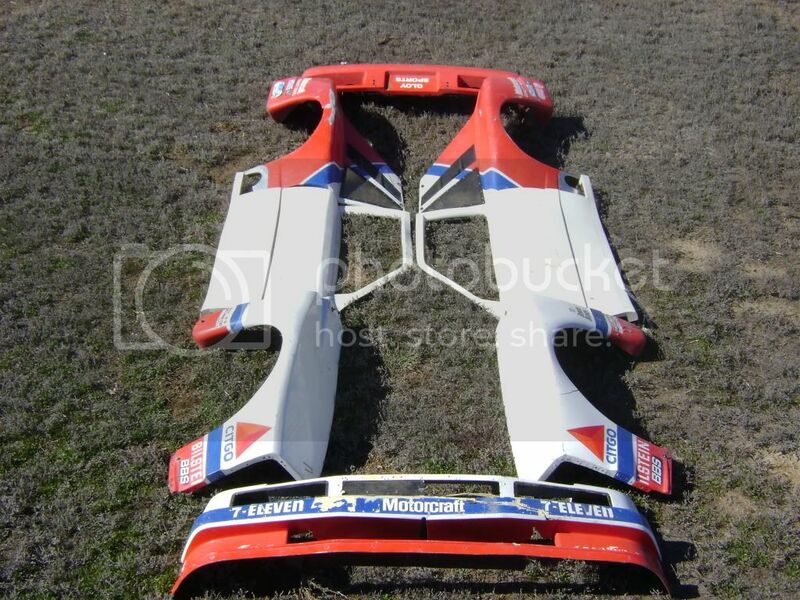 Here is a picture of the Tom Gloy Capri body panels that I picked up and hope to use one of these days! You can see I have all the parts except the hood and the rear hatch. Everything is fiberglass and extremely light for the size of the flares. As noted by a previous post, the quarters on the Mustang in the first photos does have the Capri sail panels. You will notice that on the early Mustangs from Roush they just replaced the nose and tails on the Capri bodies that they had raced the year before. You will also notice on some of the Roush car they actually still used the Capri bubble back with the same rear spoiler even on the Mustangs. 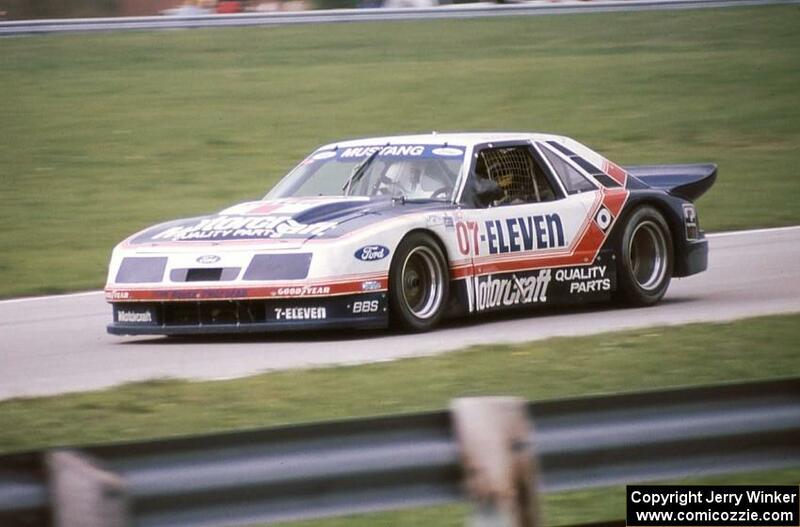 Most of this varied depending on if the car was an IMSA GTO car or a SCCA Trans Am GT-1 car and the rules. Please post up the video if you can. I would love to hear the roar of these cars again! Hey Trey its like 7ish years ago that you posted these pictures ... do you still have these and would you ever consider selling them?